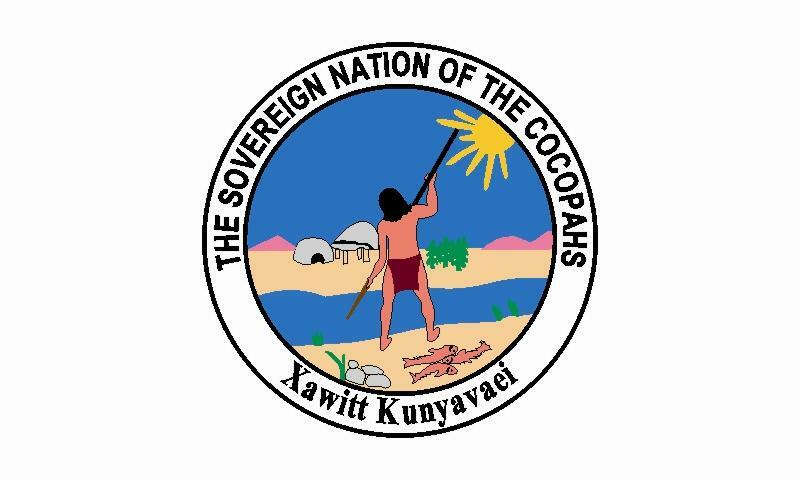 Note: As of 1 Mar 2018, there were 573 Native American tribal nations, bands, confederations, communities, rancheria, pueblo, and villages recognized by the United States federal government, under the Constitution, by treaties, statutes, or by court decisions as "sovereign domestic dependent nations under the U.S. protection" (229 of these are located in Alaska). They have formal government-to-government relations with the United States federal government, enjoy internal self-government and administer the territories they reserved for themselves. During 1887-1906, the majority of natives were granted U.S. citizenship, the remaining natives were declared to be the citizens in 1924. Currently this page lists a little more than half of the total recognized Native American Nations (not listed are a majority of the Alaska native villages and of California rancherias). Additionally, four nations whose recognition in the 2000's did not become final are listed. More data will be added as information becomes available. Nations are listed alphabetically according to the State in which their lands are currently located. Due to the vast number of tribal entities on this page any assistance adding or updating information is greatly appreciated. in response to U.S. termination and assimilation policies. 1992 - 1995 Gaiashkibos "Gosh"
11 Aug 1984 Recognized by the U.S. (Poarch Band of Creek Indians). 12 Apr 1985 Poarch Creek Reservation established. Note: Currently listed are 9 largest Native Villages by tribal population in 2005 and both regional tribes out of total of 229 Alaska tribal entities. In 1972 the state was divided into 12 regions of Alaska Native Regional Corporations holding the title to most of the native lands and conducting most of the native affairs. At the same time the existing 23 Indian Reserves were abolished, except Annette Island (Metlakatla), and for the first time complete, but informal list of Alaska tribal entities was created. The tribal entities were listed on the Federal Register from 1982 in a "preliminary list," but since 1993 they are listed along the tribes of the contiguous 48 states. 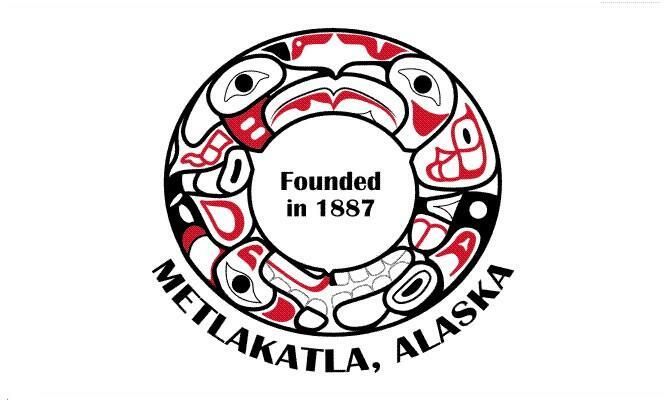 Except Metlakatla from 1970, all tribal entities from 1959 on are under the jurisdiction of state courts and law enforcement. 23 May 1939 Formal recognition by the U.S. (Native Village of Barrow). 22 Jun 1972 Within the region of Arctic Slope Regional Corp.
1997 Renamed Native Village of Barrow Inupiat Traditional Government. 1998 Covered by the Arctic Slope Self-governance agreement with the U.S.
4 Oct 2016 Referendum passes (381-375) to rename city of Barrow as Utqiagvik. the region of Bristol Bay Native Corp.
1997 Renamed Curyung Tribal Council. Island), Nuiqsut, Point Hope, Point Lay, and Wainwright. 27 Jan 1940 Formal recognition by the U.S. (Ketchikan Indian Corporation). 22 Jun 1972 Within the region of Sealaska Corp. 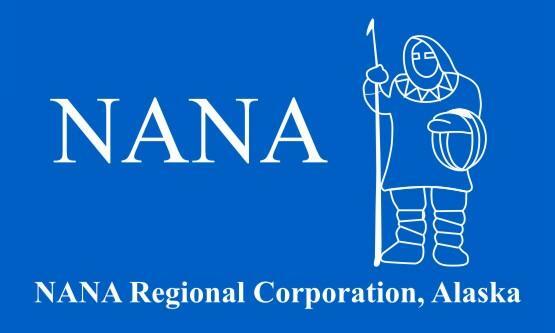 Flag of NANA Regional Corp.
23 May 1939 Formal recognition by the U.S. (Native Village of Kotzebue). 7 Jun 1972 Within the region of NANA Regional Corp.
1995 Covered by the Maniilaq Self-governance agreement with the U.S.
(1887), Rules and Regulations (1915) and Constitution (1944). 3 Mar 1891 Annette Island Indian Reserve set aside. 19 Dec 1944 Metlakatla Indian Community of the Annette Island Reserve. 1997 Self-governance agreement with the U.S.
1977 – 1979 Solomon D. Atkinson, Jr.
1981 – 1983 Casey Nelson, Sr.
1995 – 1997 Jack Booth, Sr.
2001 – 2007 Victor C. Wellington, Sr.
2007 – 2008 John A. Scudero, Jr.
2009 – 2011 Arthur G. Fawcett, Jr.
2011 – 2013 Victor C. Wellington, Sr.
23 Nov 1939 Formal recognition by the U.S. (Nome Eskimo Community). 23 Jun 1972 Within the region of Bering Straits Native Corp.
2003 – 2005 Laban Iyatunguk, Jr.
1988/1992 Renamed Orutsararmiut Native Village. 1995 Covered by Yukon-Kuskokwim Self-governance agreement with the U.S.
bf.1992 - c.1996 Thaddeus Tikiun, Jr.
c.1996 - 2004 Henry J. Hunter, Sr.
11 Oct 1938 Formal recognition by the U.S. (Sitka Community Association). 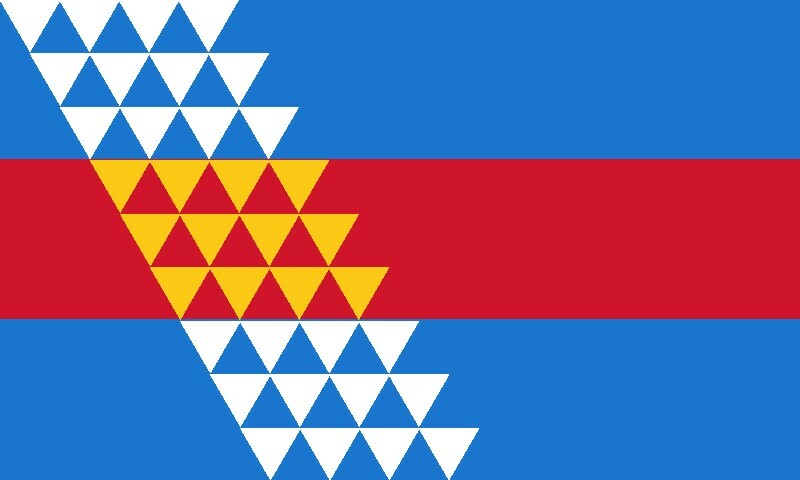 1992 Renamed Sitka Tribe of Alaska. 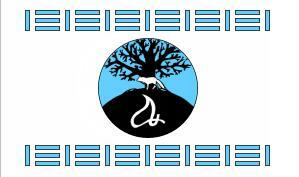 1992 – 2012 Lawrence A. Widmark, Jr.
the region of Koniag Inc.
1988 Renamed Shoonaq' Tribe of Kodiak. 2004 Renamed Sun'aq Tribe of Kodiak. from 1939), this is the origin of tribal government. 1972 Self-governance contract with the U.S. (one of the first of three). (on the U.S. list of tribal names in 1995). 21 Oct 1993 Interior Department omits council from federal recognition list. 2 Nov 1994 Congress reconfirms federal recognition. 1967 - 1972 John Borbridge, Jr.
1972 - 1976 Clarence Jackson, Sr.
May 1912 Maricopa Indian Reservation established. 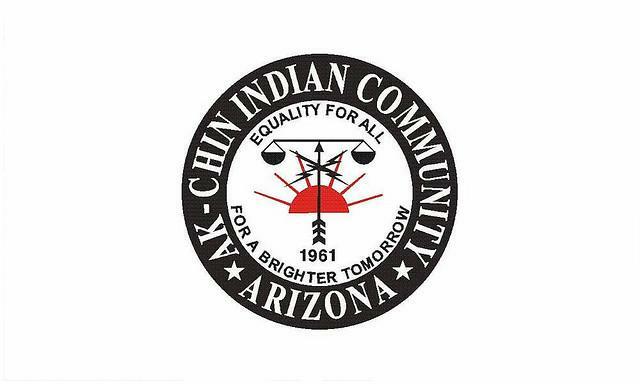 (Ak Chin) Reservation (on the U.S. list of tribal names). 2016 Reference to reservation dropped from tribal name. 2010 - 2016 Louis J. Manuel, Jr.
1864 Colorado River Indian Agency established. 1909 Reservation opened to the non-Indian settlement. 2003 Gaming compact with the state. Jan 1989 - Jan 2009 Daniel Eddy, Jr.
15 Sep 1903 Fort McDowell Reservation established. 1903 – 1913 Camp McDowell Indian Agency. of tribal names in 2002). 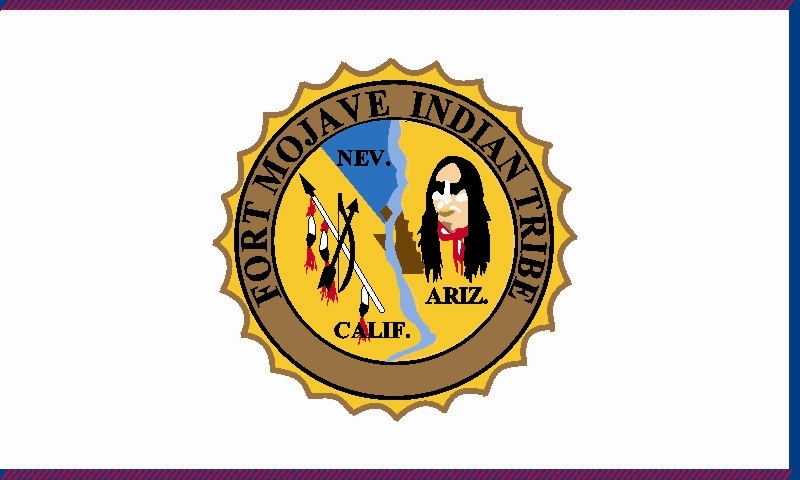 1890 – 1930 Fort Mojave Indian Agency. 1990 Gaming compact with the state. 17.. Pima and Maricopa tribes confederate. 1825 - 1856 Treaty of alliance with Mexico. 14 May 1936 Gila River Pima-Maricopa Indian Community,. 20 Jan 1960 Gila River Indian Community (GRIC). 1993 Gaming compact with the state. 2003 Self-governance agreement with the U.S.
1945 - 1950 David A. Johnson, Sr.
1 Jan 1970 – 31 Dec 1981 Alexander Lewis, Sr.
8 Jun 1880 Havasupai Reservation set aside. 1904 – 1933 Havasupai Indian Agency. 27 Mar 1939 Havasupai Tribe of the Havasupai Reservation, Arizona. settlements in the U.S.); by c.1750 there were 7 Hopi pueblos. 1629 – 1680 Subject to the Spanish (1699 – 1700 again briefly). 16 Dec 1882 Hopi (to 1907, Moqui) Indian Reservation created. Moenkopi, Oraibi, Shungopavi, First Mesa). 1945 – 1950 No elections? Dec 1997 - Dec 2005 Wayne Taylor Jr.
1901 Truxton Canyon Indian Agency established. 17 Dec 1938 Hualapai Indian Tribe of the Hualapai Reservation, Arizona. 1910 – 1927 Kaibab Indian agency. 11 Jun 1913 Kaibab Reservation set aside. 1786 - 1793 Subject to the Spanish. 1864 - 1868 Settled at Bosque Redondo Reservation in New Mexico. 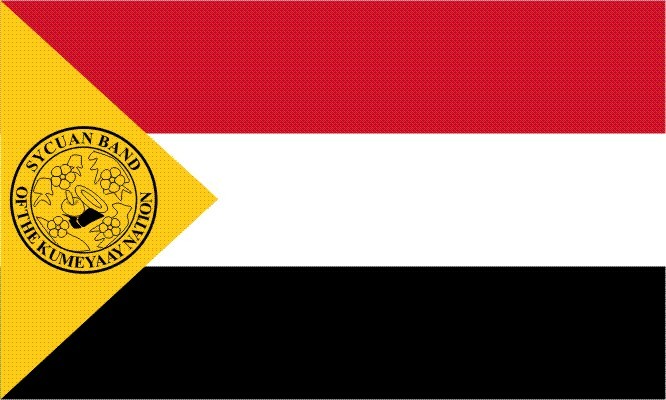 (24 Apr 1923), Rules (26 Jul 1938) and Resolution (15 Dec 1989). 15 Jun 1935 Rejected the Indian Reorganization Act of 1934 by referendum. (on the U.S. list of tribal names from 1996). 2004 Gaming compact with the state. Mar 1937 – Nov 1938 Henry Taliman, Sr.
Aug 1964 Pascua Yaqui Village formed (special federal involvement). 14 Jun 1879 Salt River Indian Reservation set aside. 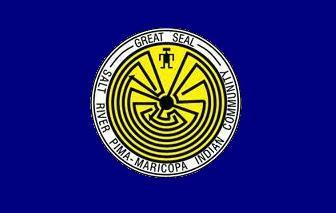 1913 – 1934 Salt River (from 1927, Phoenix) Indian Agency established. 11 Jun 1940 Salt River Pima-Maricopa Indian Community, Arizona. 1993 Self-governance agreement with the U.S.
1998 Gaming compact with the state. 1871 Camp Grant (from 1872, San Carlos) Indian Agency established. 14 Dec 1872 San Carlos Apache Indian Reservation established. 2006 - 2010 Wendsler A. Nosie, Sr.
1999 – 2003 Johnny M. Lehi, Sr.
1699 Subject to the Spanish (from 1821, Mexico). 8 Jun 1854 Gadsden Purchase leads to the current U.S.-Mexico border traversing Papago Indian lands (by 1860, the Papago in the U.S.
1 Jul 1874 San Xavier reservation established. 12 Dec 1882 Gila Bend reservation established. 1 Feb 1917 Papago Indian Reservation established. 10 Sep 1978 Florence Village is established as part of the Nation. 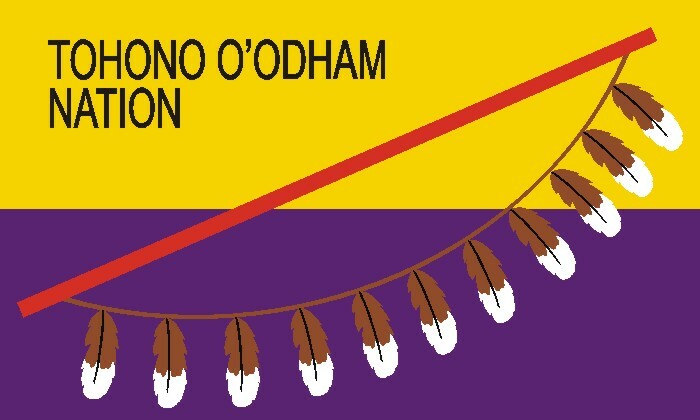 18 Jan 1986 Renamed Tohono O'odham Nation. 1987 - 31 Mar 1989 Enos J. Francisco, Jr.
6 Oct 1972 Recognized by the U.S. (Payson Community of Yavapai-Apache). Feb 1979 Payson Tonto Apache Tribe (on the U.S. list of tribal names). 22 Dec 1979 Renamed Tonto Apache Tribe. 9 Nov 1871 White Mountain Reservation established. 1872 Fort Apache (to 1876, Camp Apache) Indian Agency (1876-97 closed). 7 Jun 1897 Fort Apache Reservation. 26 Aug 1938 White Mountain Apache Tribe of the Fort Apache Indian Reservation. 1998 - Apr 2006 Dallas Massey, Sr.
1900 – 1930 Camp Verde Indian agency. 1910 Camp Verde Reservation set aside. 12 Feb 1937 Yavapai-Apache Indian Community of the Camp Verde Reservation. 7 Jun 1935 Yavapai-Prescott Indian Reservation established. 5 Dec 1962 Yavapai-Prescott Community. 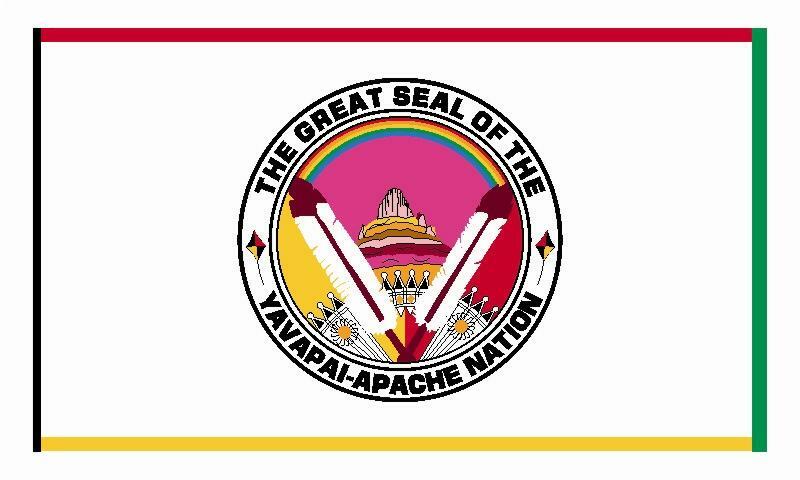 1974 Renamed Yavapai-Prescott Tribe of the Yavapai Reservation. 2012 Reference to reservation dropped from tribal name. 13 Nov 2001 - Ernest Jones, Sr. Note: It is intended to cover here all of the 105 native tribal entities in California. Currently recorded are: (1) all the 31 Mission tribes of Southern California (including Quechan); (2) the nine Paiute-Shoshone tribes along the Nevada boundary (including Chemehuevi); (3) the four major native nations of northern and central California (Hoopa Valley, Round Valley, Tule River, Yurok) that are the original reservations that were intended for all the natives of northern and central part of the state; (4) the ten largest of the 58 "rancherias" (tiny tracts set aside in the early 20th century for natives who avoided removal to the four principal original reservations) by native population in 2000; (5) three tribes located among rancherias with latter federal recognition (Karuk, Quartz Valley, Tejon). In contrast to other parts of the U.S., there are no ratified treaties between the U.S. and native nations of California. By 1920, all or a majority of rancheria and Paiute-Shoshone Indians had became the U.S. citizens. All the California tribes from 1953 on (Agua Caliente from 1949) are under the jurisdiction of state courts and law enforcement. Reservation established (confirmed 14 May 1896). 15 Dec 1934 Rejected the Indian Reorganization Act of 1934 by referendum. 1939 Agua Caliente Band of Mission Indians, first constitution adopted. Feb 1893 Augustine Indian Reservation set aside. 18 Dec 1934 Rejected the Indian Reorganization Act of 1934 by referendum. 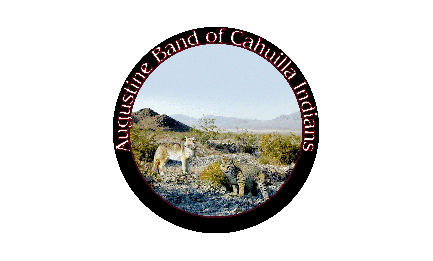 bf.1979 Renamed Augustine Band of Cahuilla Mission Indians. 2005 Covered by the Riverside-San Bernardino Self-governance agreement. 2007 Renamed Augustine Band of Cahuilla Indians. 1912 Big Pine Indian Reservation established. 11 Jun 1935 Rejected the Indian Reorganization Act of 1934 by referendum. 10 Apr 1939 Part of the Owens Valley Paiute-Shoshone Bands (see Bishop). Big Pine Reservation, recognized as separate tribe. 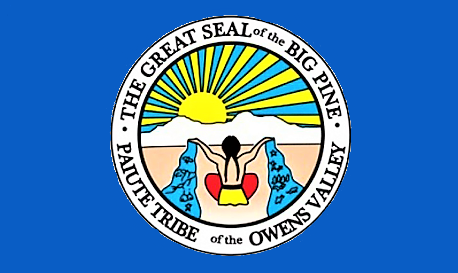 2011 Renamed Big Pine Paiute Tribe of the Owens Valley. 19 Jun 1911 Rancheria set aside. 15 Jan 1936 Big Valley Band of Pomo Indians of the Big Valley Rancheria. 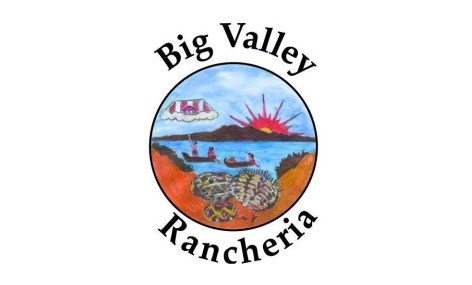 11 Nov 1965 – 22 Dec 1983 Terminated by the U.S.
1985 - 1998 Renamed Big Valley Rancheria of Pomo & Pit River Indians. 1912 Bishop Indian Colony set aside. 1916 – 1926 Bishop Indian agency. 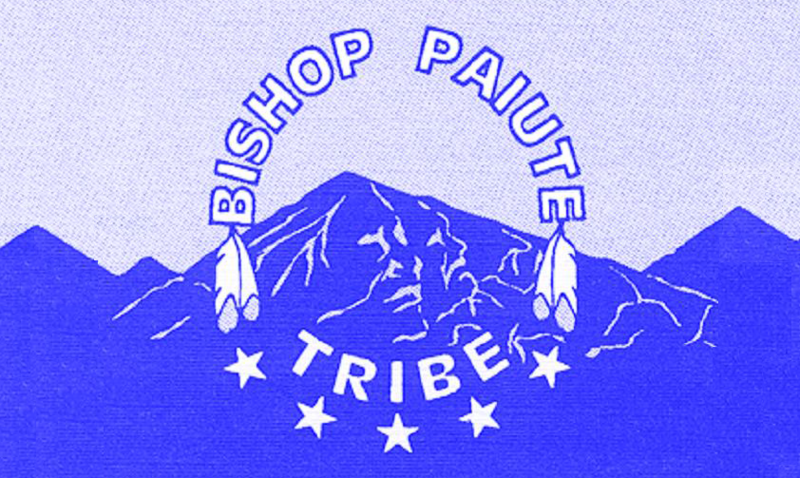 2010 Renamed Bishop Paiute Tribe. bf.1860 - 1863 "Captain George"
2011 - 2014 Dale Delgado, Jr.
17 Oct 1974 Bridgeport Indian Colony set aside. 2010 Renamed Bridgeport Indian Colony. 15 May 1876 Cabazon Indian Reservation established. 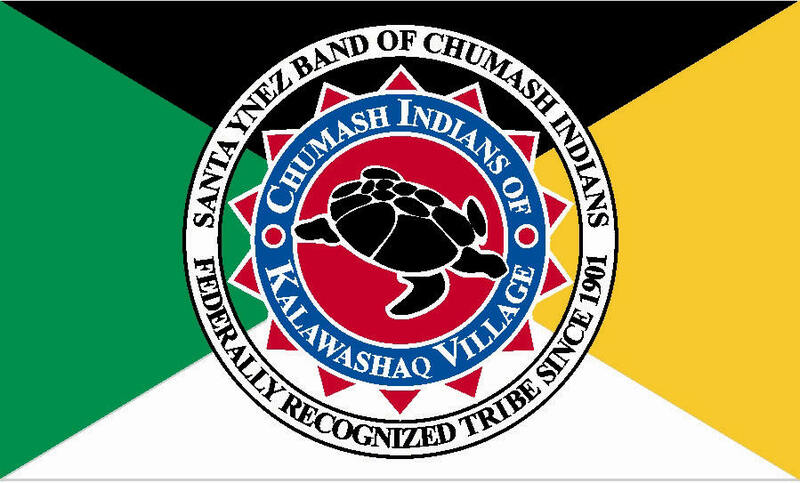 1979 – 2003 Renamed Cabazon Band of Cahuilla Mission Indians. 10 Jun 1935 Rejected the Indian Reorganization Act of 1934 by referendum. 21 Jul 1967 Cahto Tribe of the Laytonville Rancheria. 2006 Covered by the Consolidated Tribal Self-governance agreement. 27 Dec 1875 Cahuilla Indian Reservation set aside. 2015 Renamed Cahuilla Band of Indians. 1999 – 2001 Antonio Heredia, Jr.
2004 – 2006 Jerome Salgado, Sr.
2006 – 2009 Anthony Madrigal, Jr.
2009 - 2016 Luther Salgado, Sr.
10 Feb 1893 Campo Indian Reservation established. 1910 – 1920 Campo Indian agency. 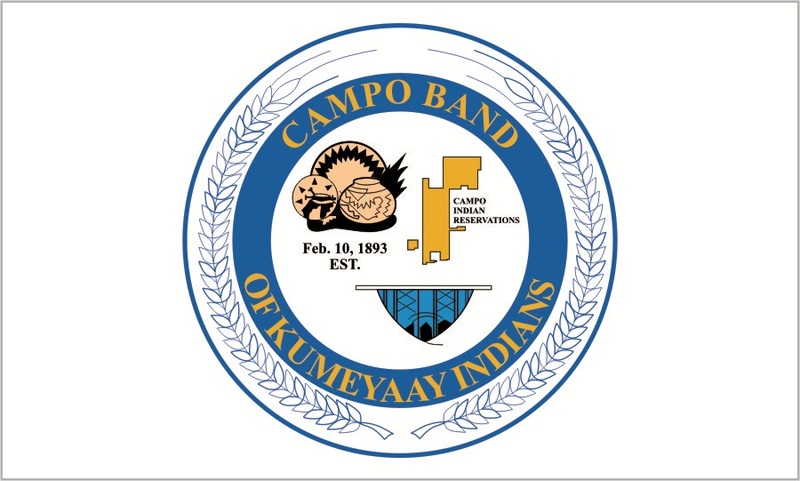 13 Jul 1975 Renamed Campo Band of Diegueno Mission Indians. 2015 Covered by the Southern Indian Self-governance agreement. Grande Band of Mission Indians. 1974/79 Renamed Capitan Grande Band of Diegueno Mission Indians. 1990 Gaming compact by Viejas. 1992 Gaming compact by Barona. 2 Feb 1907 Chemehuevi Valley Reservation established. 1971 Chemehuevi Indian Tribe of the Chemehuevi Reservation. 1951 – af.1964 Dan Eddy, Sr.
8 Jun 1935 Rejected the Indian Reorganization Act of 1934 by referendum. Oct 1961 Sycamore Valley Association of the Cold Springs Rancheria. 1983 Recognized by the U.S. (Death Valley Timbisha Shoshone Band). 2010 Renamed Death Valley Timbisha Shoshone Tribe. 10 Feb 1891 Cuyapaipe Reservation established. 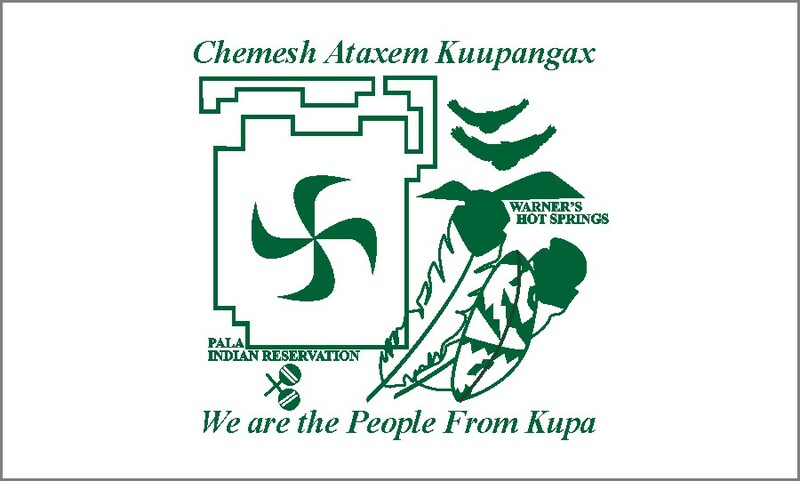 20 May 2003 Renamed Ewiiaapaayp Band of Kumeyaay Indians, California. 30 Jan 1897 Fort Bidwell Reservation set aside. 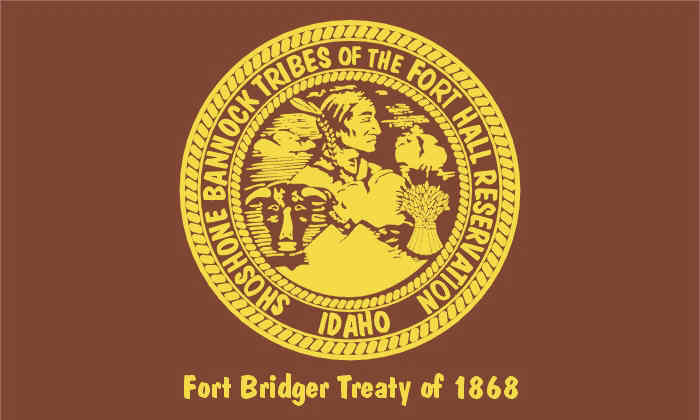 1898 – 1930 Fort Bidwell Indian agency. 1979 - 1997 Fort Bidwell Indian Community of Paiute Indians (on the U.S.
28 Oct 1915 Fort Independence Reservation set aside. 24 May 1935 Rejected the Indian Reorganization Act of 1934 by referendum. 1777 – 1781 Subject to the Spanish. 1825 – 1849 Treaty of alliance with Mexico. 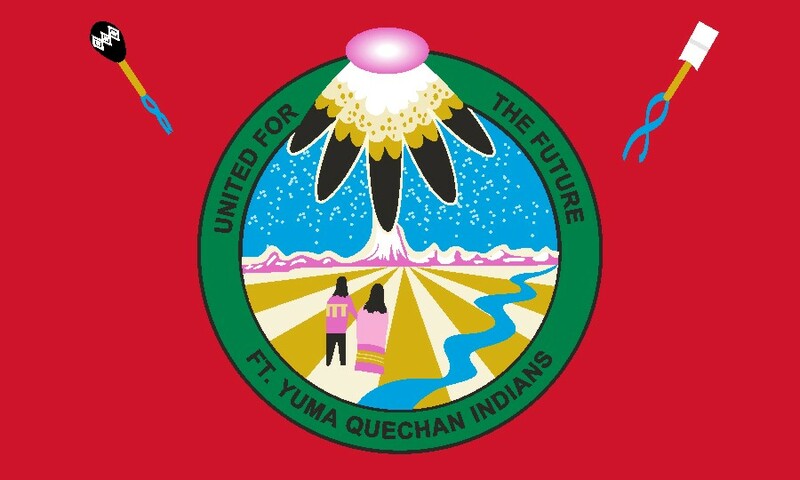 22 Jul 1884 Fort Yuma (to 1910, Yuma) Indian Reservation established. 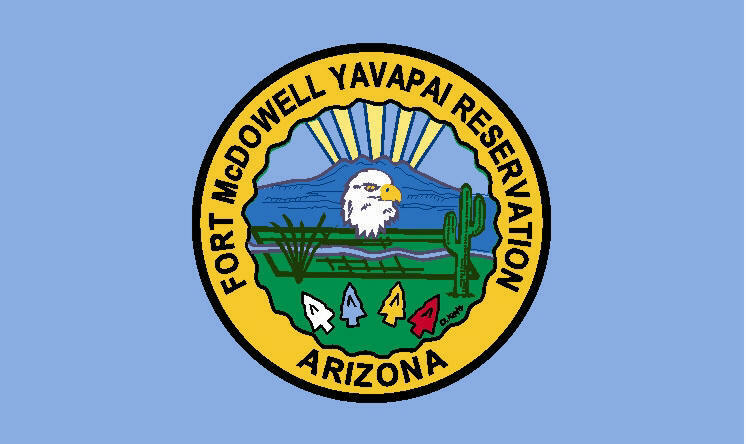 1900 – 1935 Fort Yuma Indian Agency established. 1994 Gaming compact with the state. 1939 - c.1947 Edmond Jackson, Sr.
Jan 1995 - Jan 2011 Michael "Mike" Jackson, Sr.
Jun 2015 - Mar 2017 Michael "Mike" Jackson, Sr.
7 Jan 1909 Rancheria set aside. 1971 Grindstone Rancheria of Wintun-Wailaki Indians. 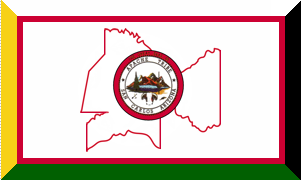 2004 Covered by the North Valley Indian Self-governance agreement. 8 Apr 1864 Hoopa Valley Indian Reservation established (no treaty). 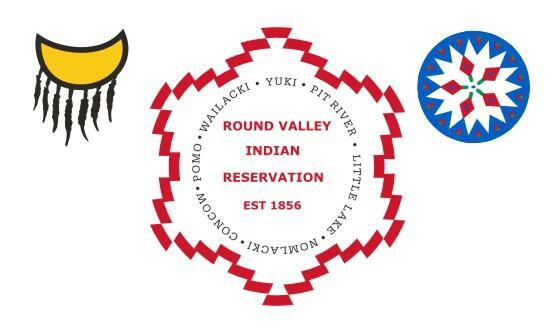 1865 – 1948 Hoopa Valley Indian Agency established. Valley reservation, known as the Hoopa Extension. 20 Nov 1933 Hoopa Tribe, the first constitution adopted. 4 Sep 1952 Renamed Hoopa Valley Tribe. 2000 Gaming compact with the state. 1948? - 1951? Peter Masten, Sr.
1956 - 1957 Edward Marshall, Sr.
1958 – 1960? Vernon Davis, Sr.
1961 – 1963? Edward Marshall, Jr.
1971? 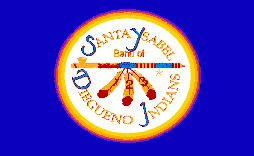 - 1979 Peter Masten, Jr.
1997 - 1999 Merv George, Jr.
2009 - 28 Jun 2013 Leonard E. Masten, Jr.
bf.1979 Renamed Santa Ysabel Band of Diegueno Mission Indians. 2006 Covered by the Indian Health Self-governance agreement. 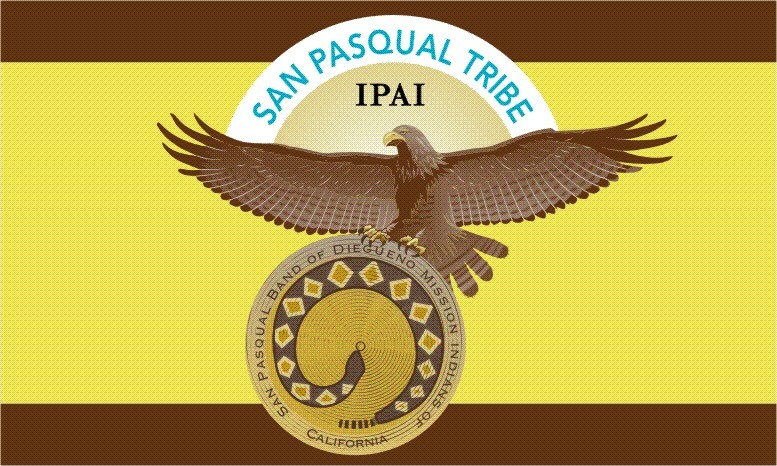 2007 Renamed Iipay Nation of Santa Ysabel. Dec 2002 – 2007 Johnny Hernandez, Jr.
2007 – Dec 2010 Johnny Hernandez, Jr.
27 Dec 1875 Inaja and Cosmit Indian Reservation set aside. 1971 Orleans Karok Council formed. 15 Jan 1979 Recognized by the U.S. (Karok Tribe). 3 May 1877 La Jolla Indian Reservation established. 1909 – 1911 La Jolla Indian agency. bf.1979 Renamed La Jolla Band of Luiseño Mission Indians. 2010 Renamed La Jolla Band of Luiseño Indians. 10 Feb 1893 La Posta Reservation set aside. bf.1979 Renamed La Posta Band of Diegueno Mission Indians. 1912 Lone Pine Reservation set aside. 2010 Renamed Lone Pine Paiute-Shoshone Tribe. 5 May 1889 Los Coyotes Reservation set aside. 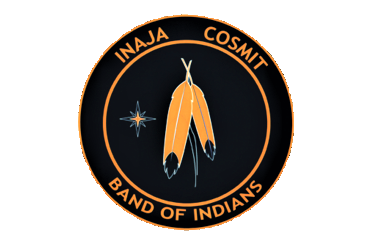 bf.1979 Renamed Los Coyotes Band of Cahuilla Mission Indians. 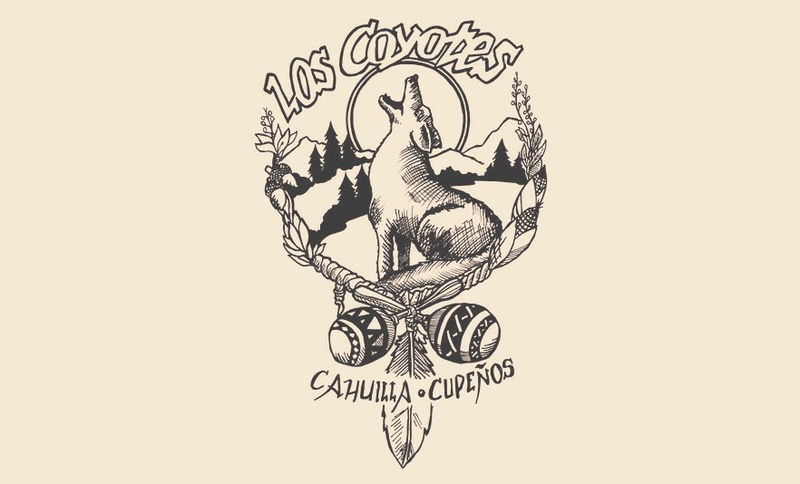 2003 Renamed Los Coyotes Band of Cahuilla and Cupeno Indians. 23 Jun 1909 Rancheria set aside. 27 Feb 1937 Manchester Band of Pomo Indians of the Manchester Rancheria. 10 Feb 1893 Manzanita Reservation set aside. 1976 Renamed Manzanita Band of Diegueno Mission Indians. 27 Dec 1875 Mesa Grande Indian Reservation set aside. 15 May 1876 Morongo Reservation established. 1908 – 1920 Malki Indian agency. 27 Dec 1875 Pala Indian Reservation established. a majority of the reservation population. 1903 – 1920 Pala Indian agency. bf.1979 - 2015 Pala Band of Luiseno Mission Indians of the Pala Reservation. 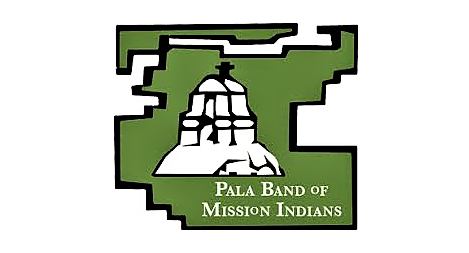 2015 Renamed Pala Band of Mission Indians. 18 Aug 1892 Pauma and Yuima Reservation established. c.1993 Lee E. Dixon ?? 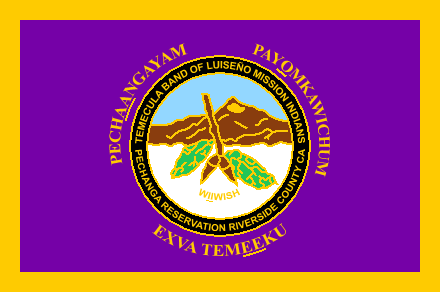 27 Jun 1882 Pechanga (to c.1890 also called Temecula) Reservation established. 1909 – 1913 Pechanga Indian agency. 1939 Quartz Valley Indian Community. 1967 – 1984 Terminated by the U.S.
1985 – 1995 Renamed Quartz Valley Rancheria of Karok, Shasta and Upper Klamath. 10 Feb 1893 Ramona Indian Reservation set aside. 27 Dec 1875 Rincon Indian Reservation established. 1909 – 1911 Rincon Indian agency. 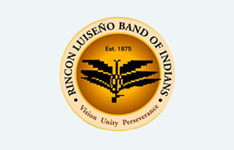 bf.1979 Renamed Rincon Band of Luiseño Mission Indians. 8 Sep 1909 Rancheria set aside. 3 Sep 1965 – 29 Jun 1977 Terminated by the U.S.
1978 Robinson Rancheria of Pomo Indians. 2012 Renamed Robinson Rancheria Band of Pomo Indians. Jan 2015 Renamed Robinson Rancheria. 14 Jun 1856 Round Valley Reservation set aside (no treaty). 8 Apr 1864 Round Valley Reservation confirmed by Congress. 7 Nov 1936 Covelo Indian Community of the Round Valley Reservation. 14 Sep 1994 Renamed Round Valley Indian Tribes. bf.1994 - af.1996 Joseph A. Russ, Sr.
bf.2000 - 2004 John Azbill, Sr.
2006 – 2010 Eugene Jamison, Jr.
1865 – 1948 Mission Indian agency. 1891 San Manuel Indian Reservation established. 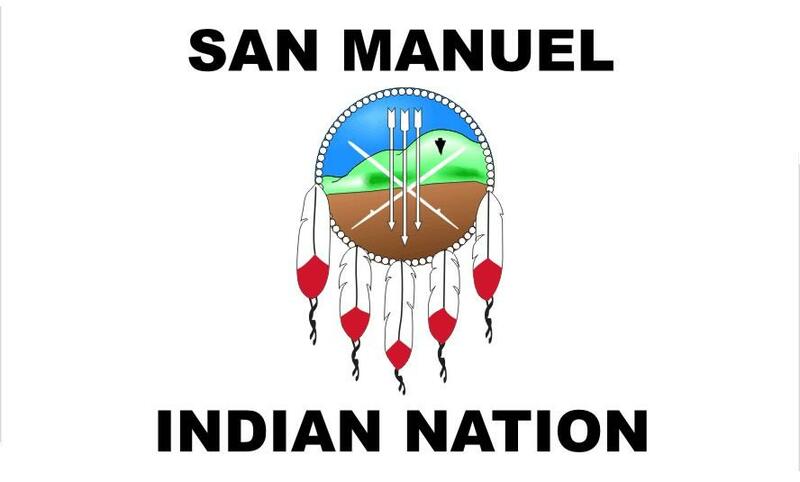 bf.1979 - 2009 Renamed San Manuel Band of Serrano Mission Indians. 1 Jul 1910 San Pasqual Reservation set aside. 1997 - Allen E. Lawson, Jr.
2 Feb 1907 Santa Rosa Reservation set aside. 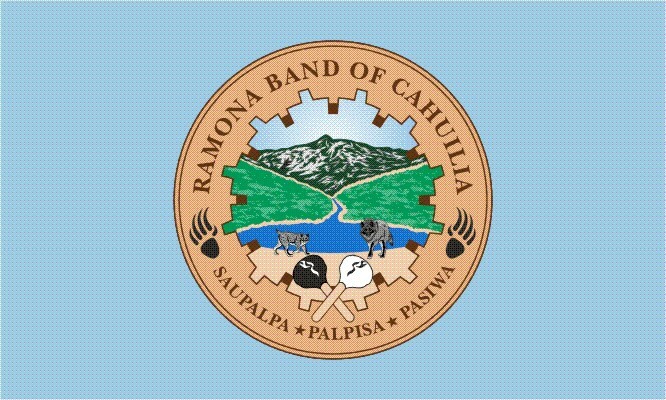 bf.1979 Renamed Santa Rosa Band of Cahuilla Mission Indians. 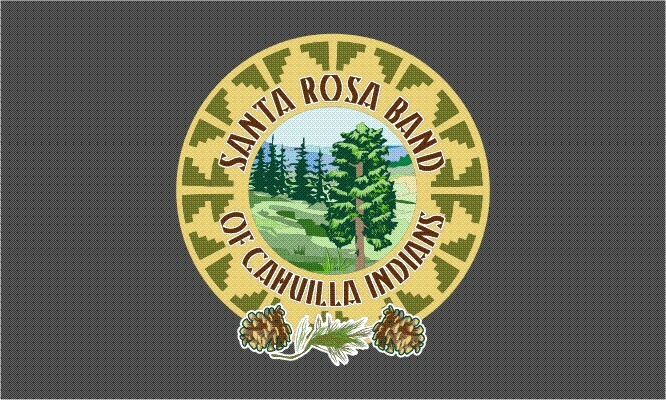 2007 Renamed Santa Rosa Band of Cahuilla Indians. Feb 1921 Rancheria set aside. 8 May 1963 Santa Rosa Indian Community of the Santa Rosa Rancheria. 27 Dec 1901 Santa Ynez Indian Reservation established. 10 May 1909 Rancheria set aside. 25 Jul 1974 Sherwood Valley Rancheria of Pomo Indians. 19 Jun 1883 Soboba (to c.1890 also called San Jacinto) Reservation established. bf.1979 Renamed Soboba Band of Luiseño Mission Indians. 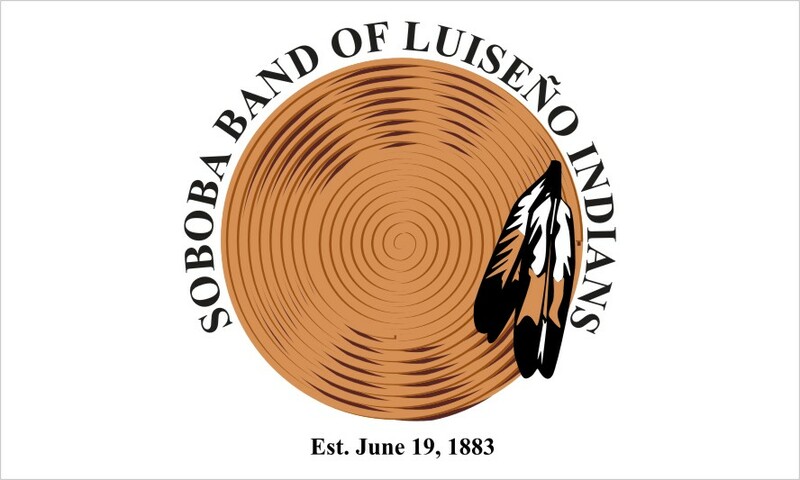 2002 Renamed Soboba Band of Luiseño Indians. 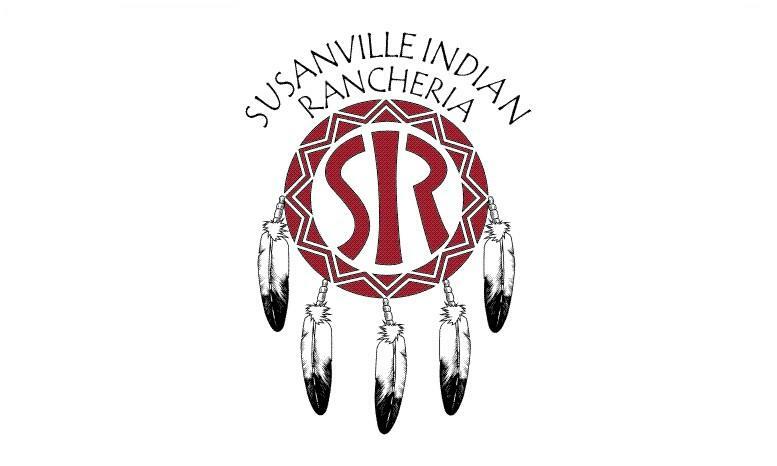 1994 – 1996 Ernest Salgado, Jr.
15 Aug 1923 Rancheria set aside. 27 Dec 1875 Sycuan Reservation set aside. bf.1979 Renamed Sycuan Band of Diegueno Mission Indians. 2005 Renamed Sycuan Band of Kumeyaay Nation. 1853 – 1856 Temporary reservation set aside (no treaty). 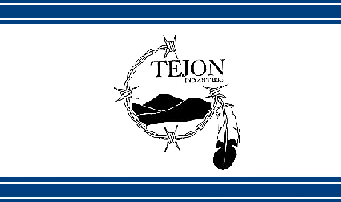 1855 – 1860 Tejon (Sebastian) Indian agency. no reservation as of 2015. 15 May 1876 Torres-Martinez Indian Reservation established. bf.1979 Renamed Torres-Martinez Band of Cahuilla Mission Indians. 2004 Renamed Torres-Martinez Desert Cahuilla Indians. 15 Jan 1936 Tuolumne Band of Me-Wuk Indians of the Tuolumne Rancheria. 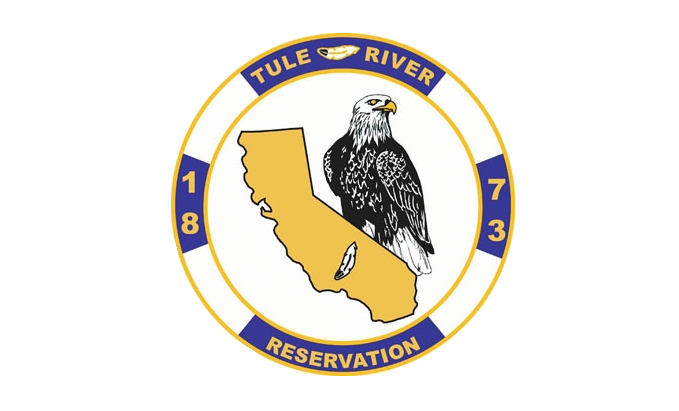 1860 – 1923 Tule River (to 1865, Southern District) agency. 9 Jan 1873 Tule River Reservation set aside. 11 Nov 1895 Twenty-Nine Palms Reservation established. 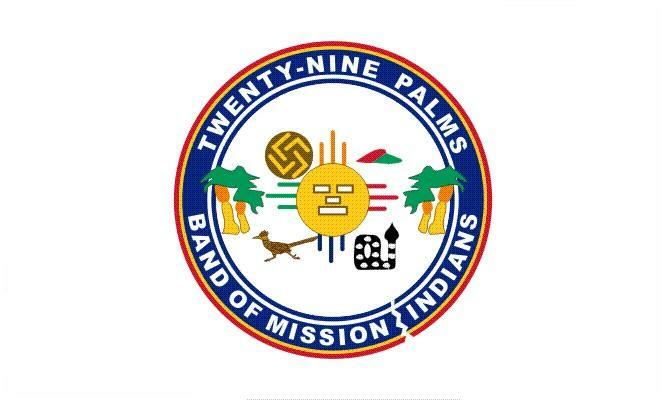 bf.1979 - 2002 Renamed Twenty-Nine Palms Band of Luiseño Mission Indians. 22 Jul 1915 Benton Reservation set aside. 16 Nov 1855 Klamath River Reservation set aside (no treaty). 1856 – 1860 Klamath River Indian agency. 2009 - Thomas P. O'Rourke, Sr.
2 Mar 1868 Confederated Ute Reservation established. 1881 Northern bands of Ute removed to the Uintah Reservation in Utah. Mountain Ute and retained the western sector of the reservation. 1984 Under jurisdiction of state courts and law enforcement. 1992 Gaming compact with the state. Dec 1984 – Dec 1987 Christopher A. Baker, Sr.
Dec 2002 – Nov 2004 Howard D. Richards, Sr.
the reservation (from 1938 the Ute Mountain Reservation). 1900 – 1922 Navajo Springs (from 1915, Ute Mountain) Indian Agency established. 1938 Ute Mountain Reservation established. 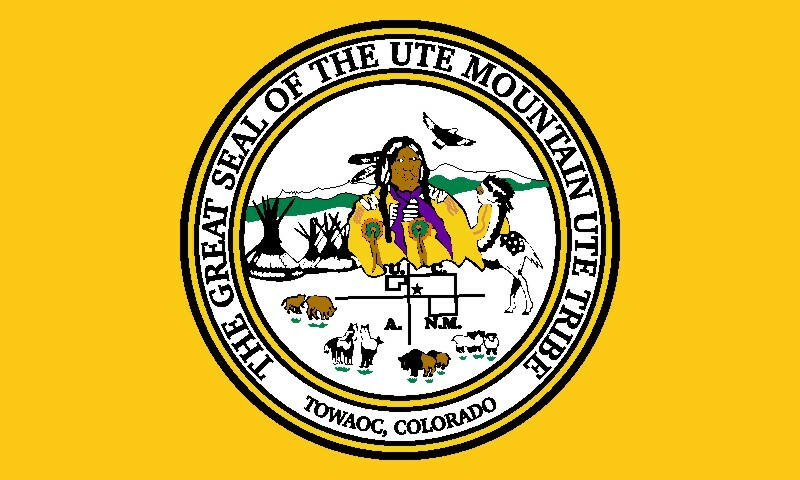 2015 Renamed Ute Mountain Ute Tribe. 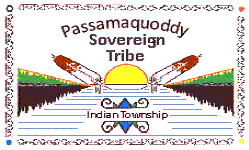 1683 Reservation set aside for the Eastern Pequots. 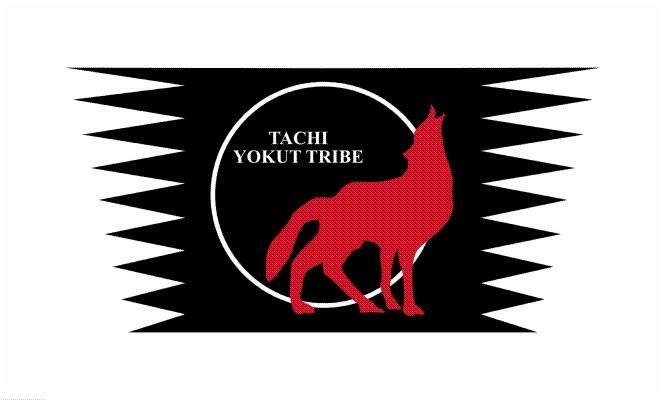 1976 – Aug 2002 Tribe divided into two groups. Tribe, it did not become final. 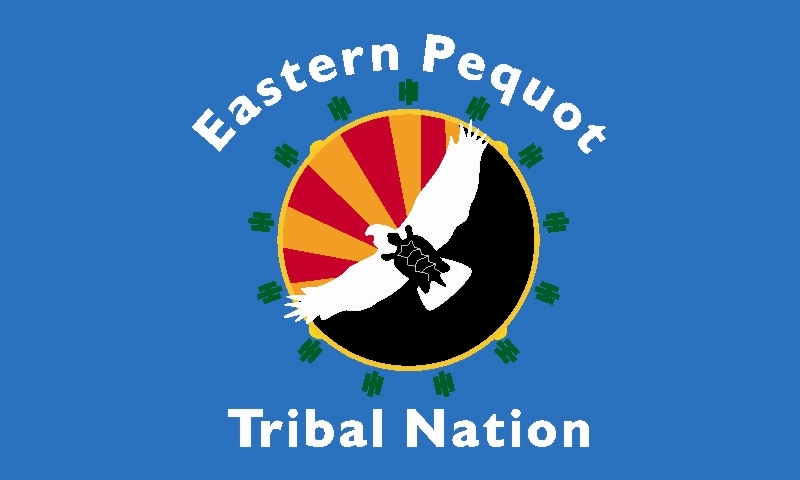 Jan 2003 Formal merger of the two groups (Eastern Pequot Tribal Nation). Oct 2005 Federal recognition withdrawn. 1622 – 1631 Pequots allied with the Dutch. 1637 Subject to the English. 1651 Reservation set aside for the Western Pequots. under jurisdiction of state courts and law enforcement. 1635 Separated from the Pequot, an ally (later subject) of the English. 1872 – 1973 Dissolved and not recognized by the state. under Russell remains Schaghticoke Indian Tribe). 11 Oct 2005 Federal recognition withdrawn. 1971 Self-governance contract with the U.S. (one of the first of three). 1839 Some Seminole avoid removal to Oklahoma. Aug 1842 – May 1858 Informal reservation set aside by the U.S.
28 Jun 1911 Big Cypress Indian Reservation established. 30 Jun 1926 Dania (in 1966, renamed Hollywood) Indian Reservation added. 13 Jun 1935 Brighton Indian Reservation added. 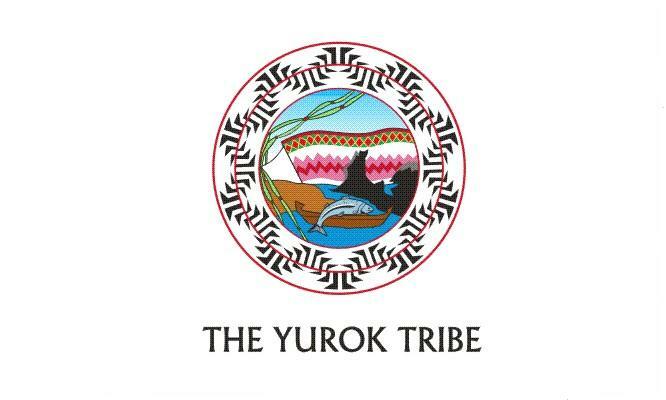 1953 U.S. House proposes termination of Seminole Tribe. 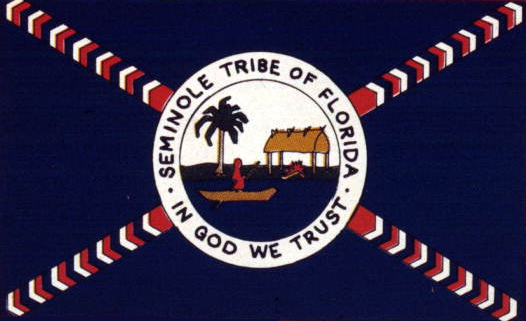 21 Aug 1957 Seminole Tribe of Florida, the constitution adopted. 1961 Under jurisdiction of state courts and law enforcement. 2001 Self-governance agreement with the U.S.
2010 Gaming compact with the state. 14 Jun 1867 Coeur d'Alene Indian Reservation set aside (no treaty). 8 Nov 1873 Reservation enlarged. 3 Mar 1891 Reservation reduced. 1910 Reservation opened to the non-Indian settlement. 17 Nov 1934 Rejected the Indian Reorganization Act of 1934 by referendum. 1995 Self-governance agreement with the U.S.
c.1660 - c.1760 "Circling Raven"
1896 Kootenai Reservation established, but gradually lost. 18 Oct 1974 Kootenai Reservation re-established. 2001 – 2005 Gary Aitken, Sr.
2013 - Gary Aitken, Jr.
12 Jun 1855 Under the U.S. protection (Nez Perce Tribe). Fort Lapwai) Indian Agency established. 9 Jun 1863 Nez Perce (1873-1929 Lapwai) Indian Reservation established. 18 Nov 1895 Reservation opened to the non-Indian settlement. 1927 Nez Perce advisory committee established under a constitution. 1995 Gaming compact with the state. 17.. Bannock and Northern Shoshone confederate. 14 Jun 1867 Fort Hall Indian Agency set aside. 3 Jul 1868 Fort Hall Indian Reservation established by Treaty. 30 Apr 1936 Shoshone-Bannock Tribes of the Fort Hall Reservation. 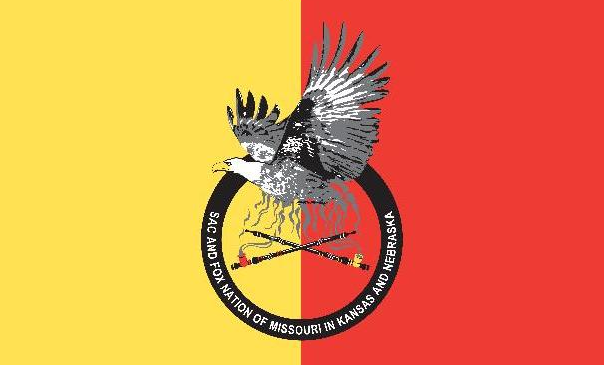 bf.1843 - 1863 Toso-Kwauberaht "Le Grand Coquin"
6 Mar 1861 Iowa Reservation established by treaty. 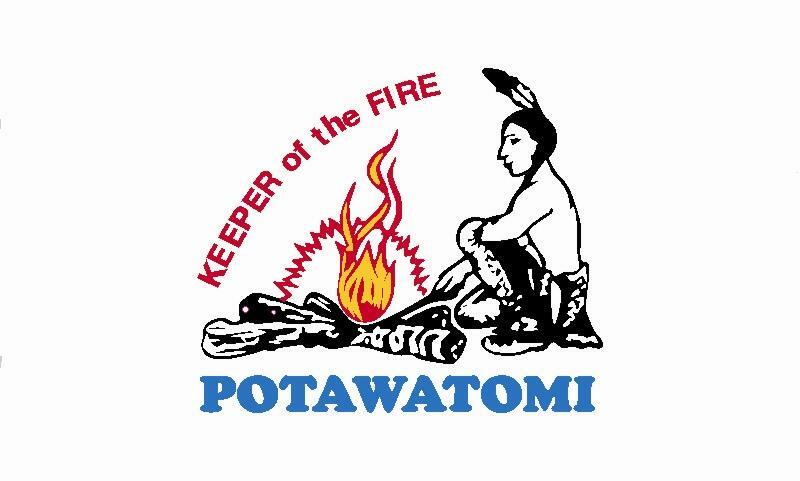 1832 Potawatomi Tribe of Indians of the Prairie. 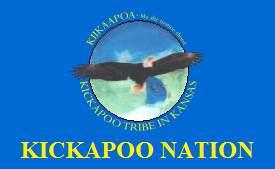 1846 Tribe relocated to Kansas. .... Prairie Band of Potawatomi Indians. .... 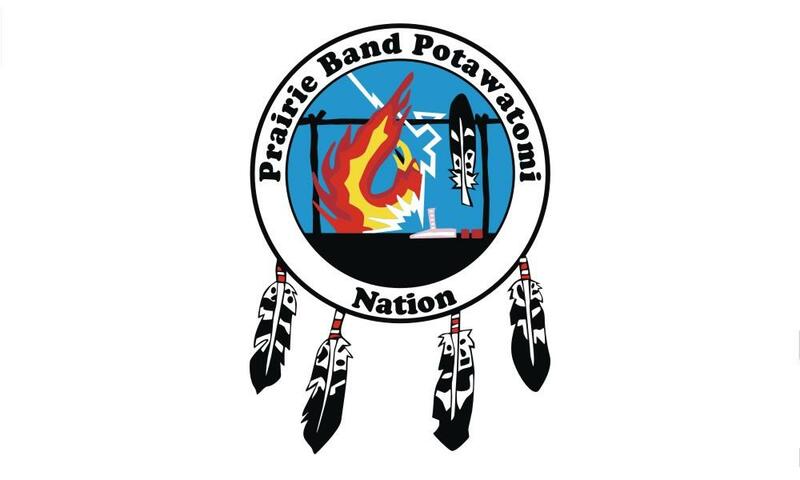 Renamed Prairie Band Potawatomi Nation. 1718 Allied with the French. 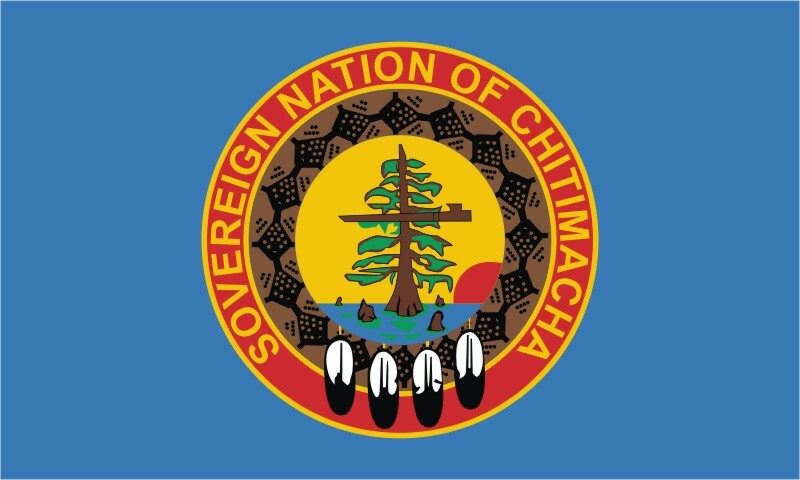 1917 Chitimacha granted federal recognition. 1971 Chitimacha Tribe of Louisiana. c.1880 Some Coushatta families arrived from Texas. 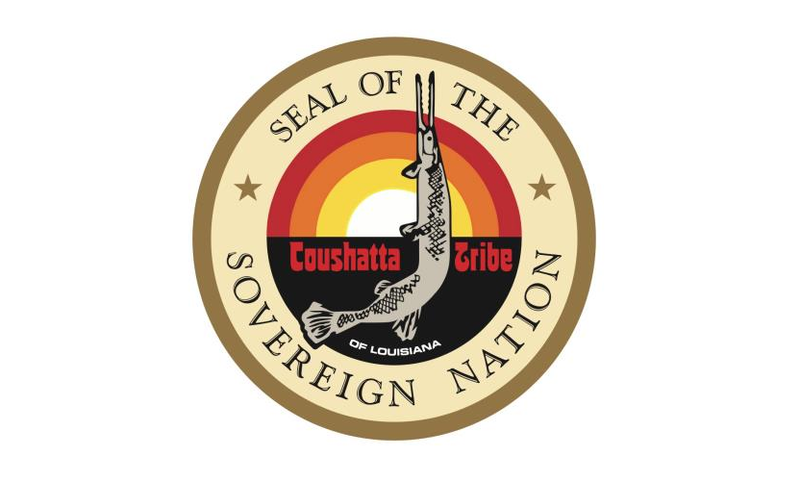 1973 Recognized by the U.S. (Coushatta Tribe of Louisiana). c.1870 Some Choctaw families arrived from Mississippi. 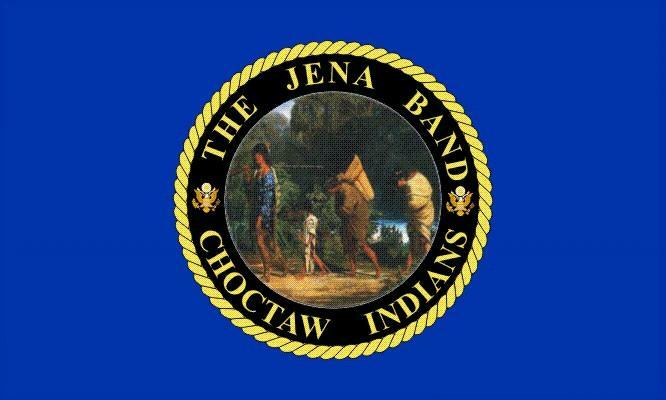 31 May 1995 Jena Band of Choctaw Indians federally recognized. 1708 Allied with the French. 1768 - 1778 Allied with the British. 1921 Tunica are joined by Biloxi. 23 Jul 1981 Tunica-Biloxi Indian Tribe federally recognized. 1973 - 1978 Joseph "Joe" Pierite, Jr.
1650 – 1713 In alliance with the French. 1713 – 1775 Ally (later subject) of the British. 1794 Reservations established by the state. 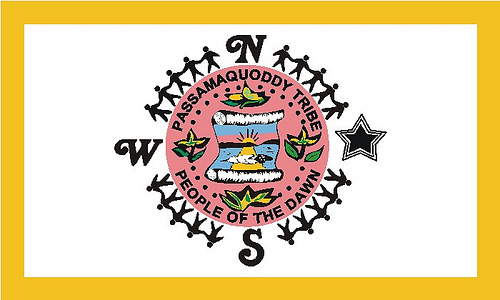 1972 Recognized by the U.S. (Passamaquoddy Tribe). 1796 Reservation established by the state. 1972 Recognized by the U.S. (Penobscot Tribe). 1967 – 1970 John M. Mitchell, Sr.
1870 Dissolved by the state. 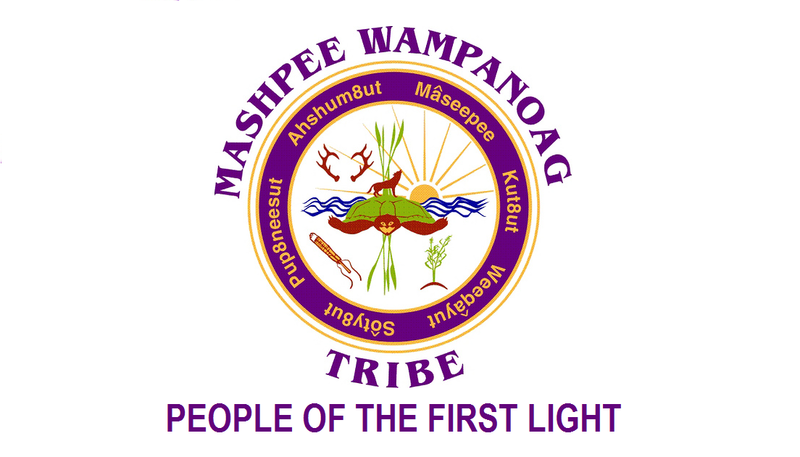 1974 Mashpee Wampanoag Tribal Council established. 1621 Wampanoags an ally (later subject) of the English. 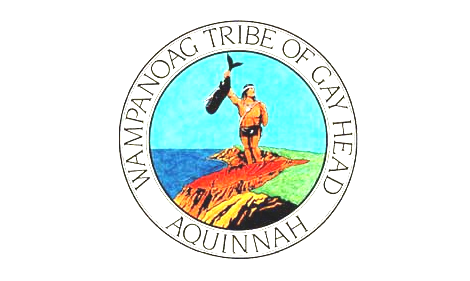 Nov 1972 Wampanoag Tribal Council of Gay Head, Inc. formed. remains under jurisdiction of state courts and law enforcement. 1860 One of several tracts of Sault Ste. Marie Bands of Chippewa. 4 Nov 1936 Bay Mills Indian Community. (on the U.S. list of tribal names). bf.1915 - af.1920 John M. Lufkins? 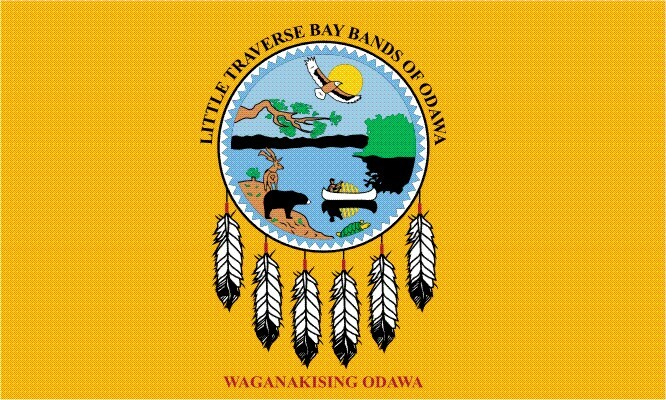 1795 Under the U.S. protection (Grand Traverse Bay Bands of Ottawa). 1836 Reservation (several tracts) established. 1876 Reservation dissolved (according to the treaty of 1855). 1972 Leelanau Indians, Inc. formed. 21 Aug 1937 Hannahville Potawatomi Indian Community federally recognized. 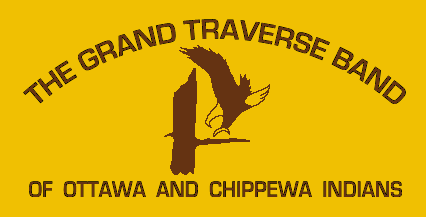 1826 Under the U.S. protection (L'Anse Band of Chippewa). 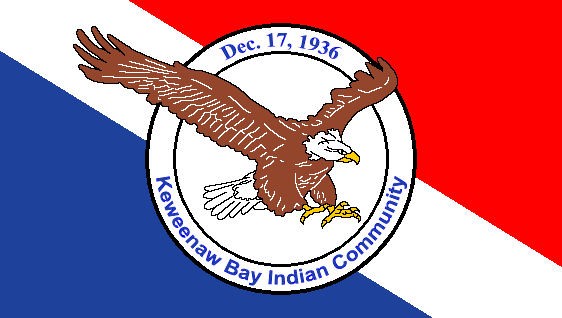 1936 Keweenaw Bay Indian Community. from 1988, reference to Lac Vieux Desert removed). 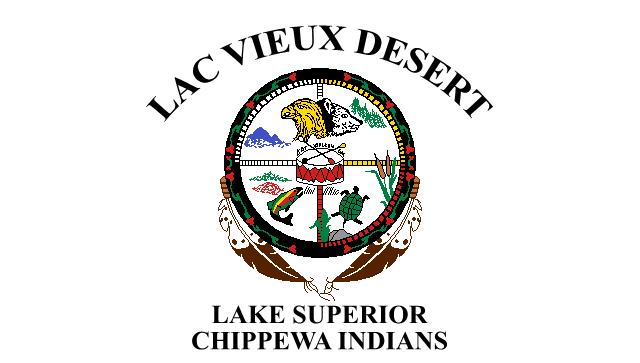 1826 Under the U.S. protection (Lac Vieux Desert Band of Chippewa). 1842 - 1854 Area ceded to the U.S. in anticipation of the removal to Minnesota. c.1854 Madweyaashi "Sound by the Wind"
1795 Under the U.S. protection (Grand River Bands of Ottawa). c.1972 Thornapple River Band of Ottawa organized. 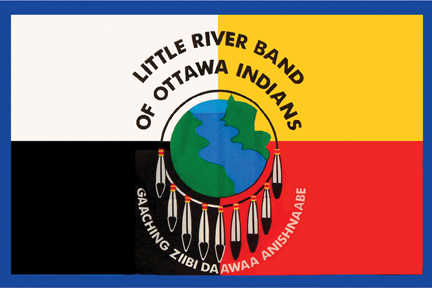 1994 Little River Band of Ottawa, recognized by the U.S.
1795 Under the U.S. protection (Little Traverse Bay Bands of Ottawa). 1815 – 1927 Mackinac Indian Agency established (1889–1899 closed).